As we enter the last full week of October, you might think that Los Angeles has emptied is graves of spooks and spirits, leaving nothing for the final run-up to Halloween Night. You would be wrong. There are more events that ever opening over the course of the next seven days, with even more to come on the final weekend of the Halloween season. There are yard haunts, graveyard and museum tours, haunted scavenger hunts, horrifying dramas, ghostly concerts, and horror movie screenings and marathons. Read on to learn the details...if you dare! The Homestead Museum presents its annual Beyond the Grave Tours, which illuminate the way that American attitudes toward death changed from the 1840s to 1920s. An overview of these changes is depicted through the experiences of two families who lived in houses preserved at the museum, including a visit to El Campo Santo, the private cemetery established in the 1850s. Beyond the Grave Tours can accommodate visitors with limited mobility. Price: $6 for adults, $4 for children and seniors (55+). Reservations are recommended (space is limited for each tour). Homestead Museum is located at 15415 East Don Julian Road in the City of Industry. Get details here. 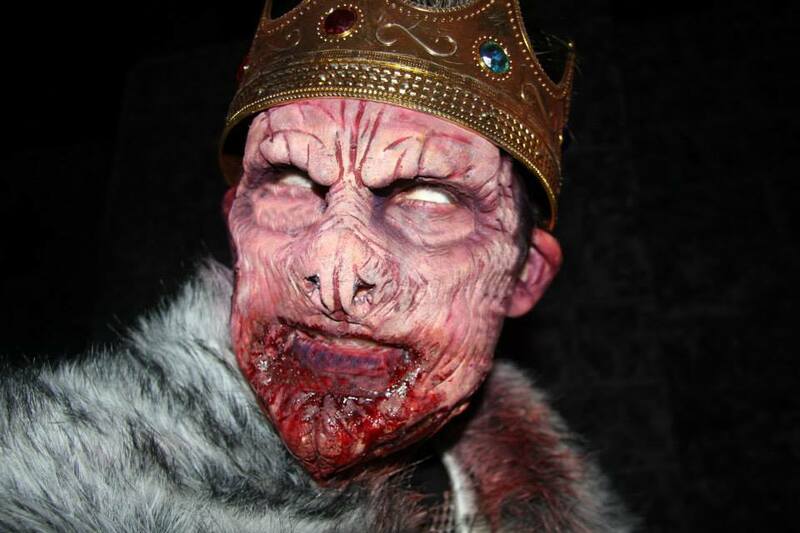 This entertaining home haunt runs for four nights this Halloween: on October 23-24 and 30-31. Regular haunting tales are 7-11pm, with a lighter non-scare version for the kids from 6pm to 7pm. Read our review of the 2014 version of Beware the Dark Realm – Hollywood Gothique’s pick for the best amateur Halloween attraction of the year. 28621 Sugar Pine Way, Santa Clarita, 91390. More info here. Looking forward to the zombie apocalypse? 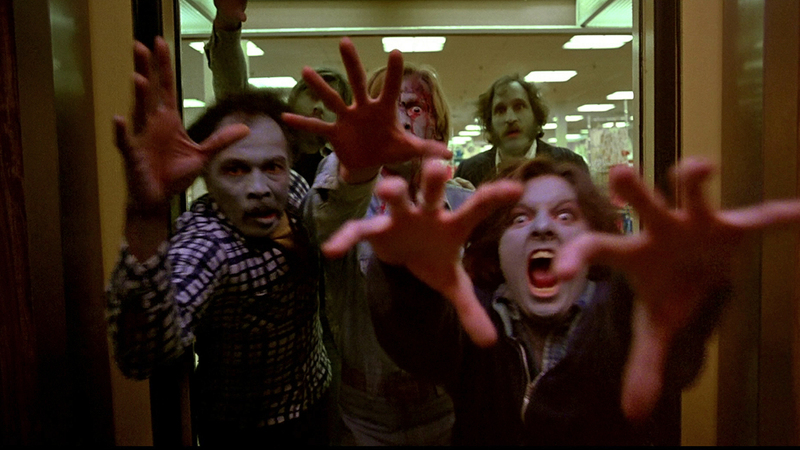 Then how about a screening of George A. Romero’s Dawn of the Dead (1978) in the classic movie palace, the Million Dollar Theatre? Forget The Walking Dead – not to mention Dawn‘s 2004 remake – this is the real deal, in all its ferocious, side-splitting glory, with over-the-top splatter effects by Tom Savini, a rousing score by Goblin, and some truly jarring comic relief. Dawn of the Dead screens at Million Dollar Theatre. Festivities begin at 8pm; film at 9pm. The address is 307 S Broadway, Los Angeles, 90013. More info here. The Day of the Dead come early this October - on Saturday the 24th instead of Sunday, November 1. The theme for the 16th annual Dia de Los Muertos festival is Shamanic Visions of the Huichol. 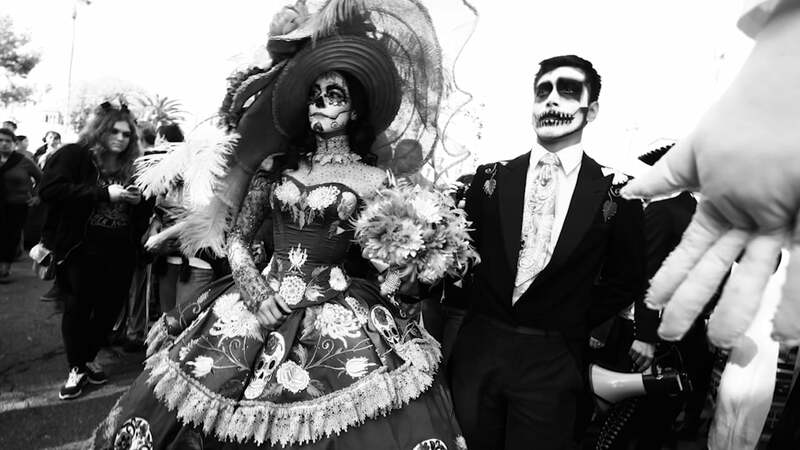 Though the Dia De Los Muertos Festival is not strictly speaking a Halloween event, it features costumes and decorations that dovetail nicely with the season while offering an alternative to traditional Halloween events in Los Angeles. And you can’t beat the location: the Hollywood Forever Cemetery. The event takes place at Hollywood Forever Cemetery: 6000 Santa Monica Boulevard in Hollywood. Get more info here. Looking for a creepy cult film to help you celebrate Halloween? 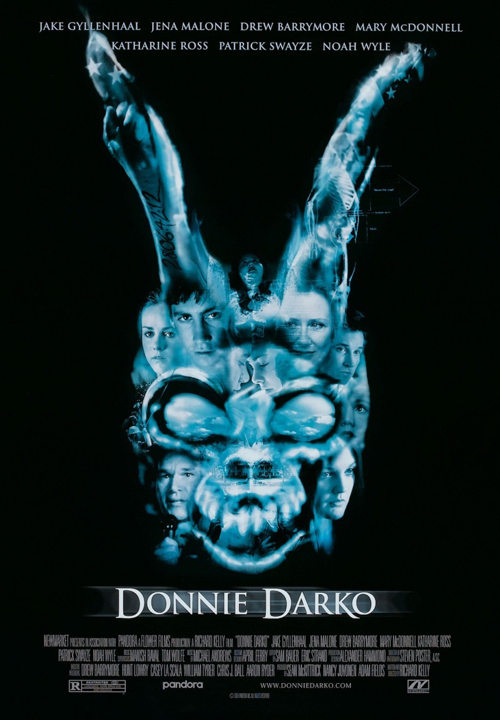 Well, Cinespia has just what you need: Donnie Darko. The screening takes place at The Palace Theatre: 615 S Broadway in Los Angeles. The door opens at 7pm; the film starts at 8pm. Get details here. As part of their annual “Old Town Music Haunt” – a month-long series of Halloween horror movies – the Old Town Music Hall presents Dracula, the film that launched the first great wave of black-and-white sound horror. Though old-fashioned and a bit creaky, the film continues to enthrall, thanks to Bela Lugoi’s iconic performance as the vampire Count. Co-stars Dwight Frye (as the wild-eyed fly-eating lunatic Renfield) and Edward Van Sloan (as the implacable vampire hunter Van Helsing) provide strong support. The film screens on three days: Friday at 8:15pm; Saturday at 2:30pm and 8:15pm; and Sunday at 2:30pm. Doors open a half-hour before showtime. No advance tickets. As always at Old Town Music Hall, the show will begin with live performance on the in-house Wurlitzer pipe organ, an audience sing along, and a short comedy film. After a 15-minute intermission, the feature film will commence. Old Town Music Hall is located at 140 Richmond Street, El Segundo, 90245. Get more info here. 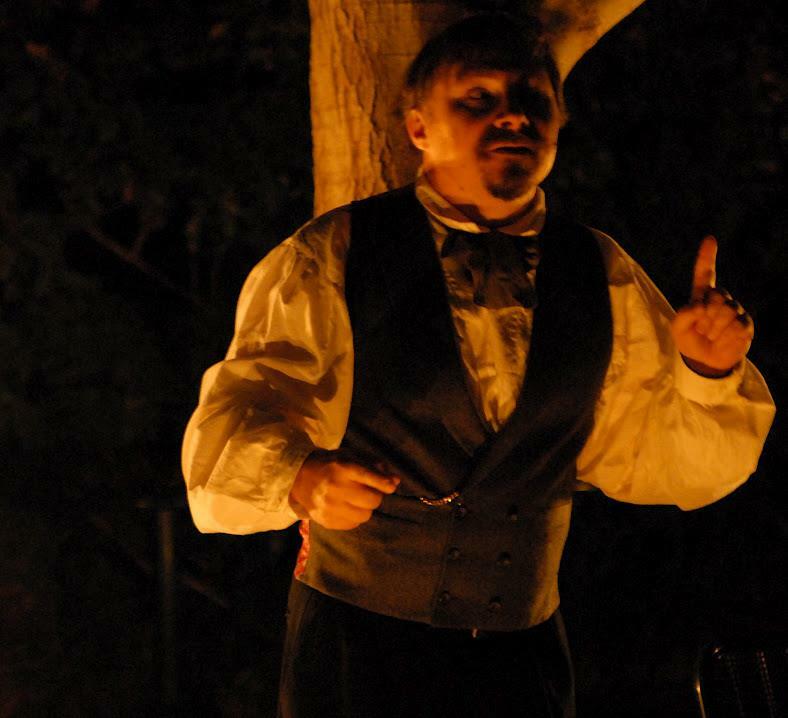 The cast of the Guild of St. George bring the morbid works of Edgar Alan Poe and Edward Gorey to life in outdoor readings and performances on the grounds of the Huntington Gardens. During the course of the evening, audience members see up to six out of the ten or more performances, which occur simultaneously at various sites throughout the grounds. Most performances are outdoors, requiring the audience to walk to various sites, often guided only by candle light (to enhance the mood of the evening, many of the lights on the grounds are dimmed or turned off completely). Stories include “The Pit and the Pendulum,” “The Tell-Tale Heart,” “The Gashlycrumb Tinies,” and more. Tickets are $45 per person for Huntington Members and $55 per person for Non-Members. The event typically sells out. In the past, tickets were sold only in advance, not at the door. The Huntington Gardens is located at 1151 Oxford Road in San Marino. Get more information here. The American Cinematheque presents its 10 annual Dusk-to-Dawn Horrorthon. The Cinematheque invites you to spent the entire evening at the Aero Theatre in Santa Monica. Between the films, there will be free food, giveaways, trailers, crazy shorts, and some surprises. To help sustain you through the long night and into the wee hours of the morning, coffee will be provided by Pete’s Coffee, Monster Energy Drinks by Hansen’s Beverages. This year’s titles are: Halloween III, Death Spa, Anguish, Spookies, Dead and Buried, Pieces, and The Nest. Films screen in 35mm except Halloween III and Death Spa (DCP) and The Nest (Blu-ray). Tickets prices are $20 for general admission, $18 for students and seniors, $15 for Cinematheque members $15. Admission includes all-night snacks and coffee. No vouchers. The event takes place at The Aero Theatre: 1328 Montana Avenue in Santa Monica. Get more info here. The evening begins with a Trick-or-Treat Village at 4:30pm; the music program starts at 7pm. There will be a costume contest on stage during the intermission. Ticket prices range from $100 for a Pit Table to $25 or $55 for adults and $8 or $15 for children, depending on seating. Children under 2 get in free. The Greek Theatre is located at 2700 North Vermont Avenue, Los Angeles, 90027. Get more info here. The American Cinematheque presents this double bill screening, featuring a discussion between the films with Oscar-winning makeup artist Rick Baker, moderated by Dana Gould. 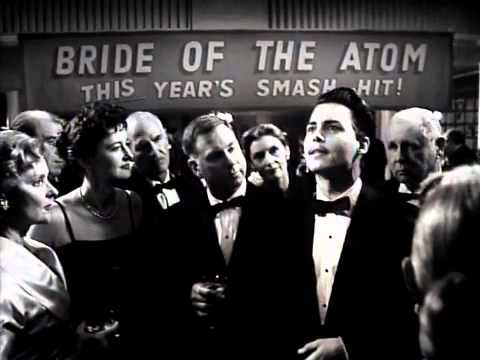 Ed Wood screens in 35mm, Harry and the Hendersons in DCP. The screening takes places at the Aero Theatre: 1328 Montana Avenue, Santa Monica, CA 90403 United States. 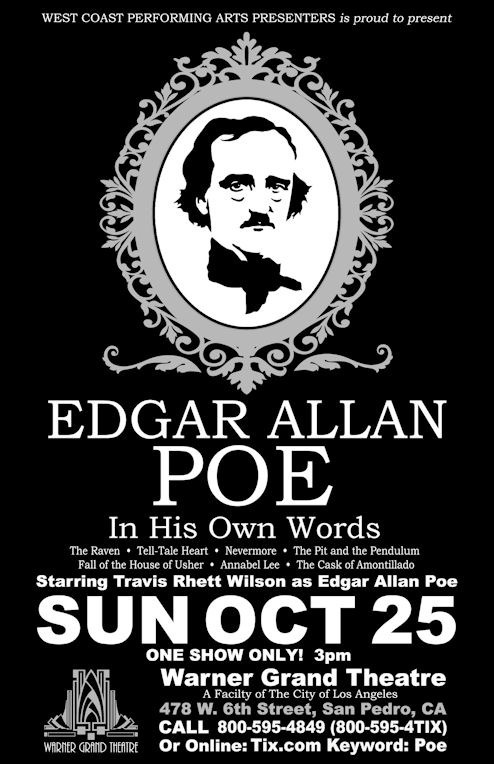 Gkids opens this animated adaptation of Poe on Friday, October 23, through Video on Demand and in selected theatres nationwide, including the Sundance Sunset Cinema in Los Angeles. Raul Garcia’s anthology film, nine years in the making, retells five of Edgar Allan Poe’s most terrifying tales, with narration provided by Sir Christopher Lee, Bela Lugosi, Julian Sands, Roger Corman, and Guillermo del Toro. Sundance Sunet Cinemas is located at 8000 Sunset Boulevard, Los Angeles, 90046. The theatre website is here. The film's Facebook page is here. The City of Burbank offers a Floating Pumpkin Patch for 2015 at the Verdugo Aquatic Facility: 3201 West Verdugo Avenue in Burbank. This is one of several Halloween events offered by the city. Find more here. Spooky Swedish goth-rock group Ghost tours the U.S. this fall, including a stop in Los Angeles, just in time for the last week of the Halloween season. 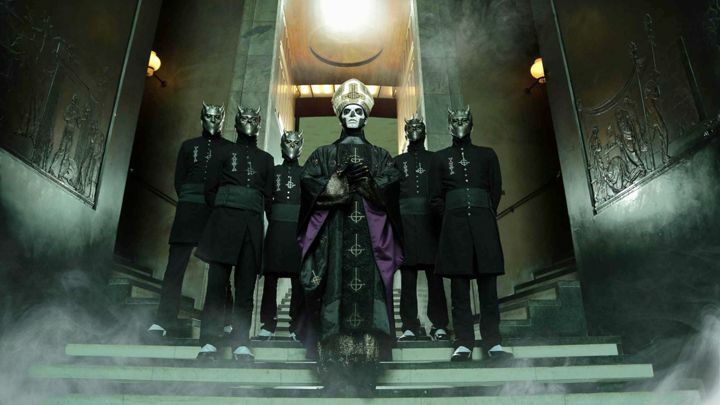 The anonymous sextet (singer Papa Emeritus II, backed by five “Nameless Ghouls”) provide an entertainment mix of influences: everything from Blue Oyster Cult to Alice Cooper, with lots of catchy, moody melodies laced atop throbbing metal riffs. The Mayan is located at 1038 S. Hill in Los Angeles. The venue's website is here. The band's website is here. Haunting since 1992, the Ghost Walk Riverside family event offers ghost stories featuring local high school drama groups and noted community speakers. The event includes live entertainment, a kids carnival, souvenir stands, food vendors, Tombstone Trolley, and an all-new attraction called Dark Dreams Doorway. There are five tour options: two are family-friendly; three are creepier: Skull Walk- Rated G, All Hallow’s Trail PG, Dark Dreams- PG-13, Blood Springs Road- PG-13, Black Shadows- PG-13. 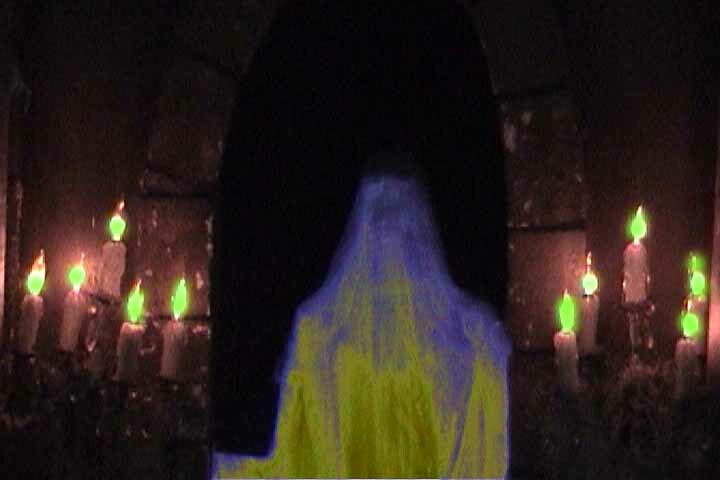 Ghost Walk Riverside tours begin at the Main Street Pedestrian Mall in Riverisde, CA 92501. Tours depart from 6pm to 10pm, regardless of the weather. Get more info here. 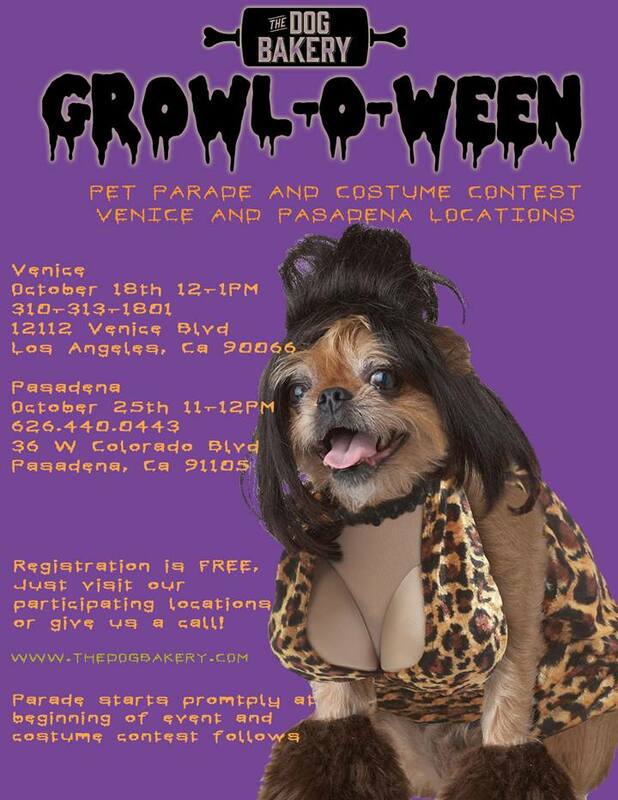 Bring your pooch dressed to impress for a doggy Growl-o-ween parade around Old Pasadena, followed by a costume contest with prizes for the winners! The costume contest categories include: Best Large Dog Costume, Best Small Dog Costume, and Best Duo Costume. The event takes place at The Dog Bakery: 36 W. Colorado Boulevard., Suite 3 in Pasadena. This is one of several Halloween events taking place in Old Pasadena this weekend and next weekend. Learn more here. 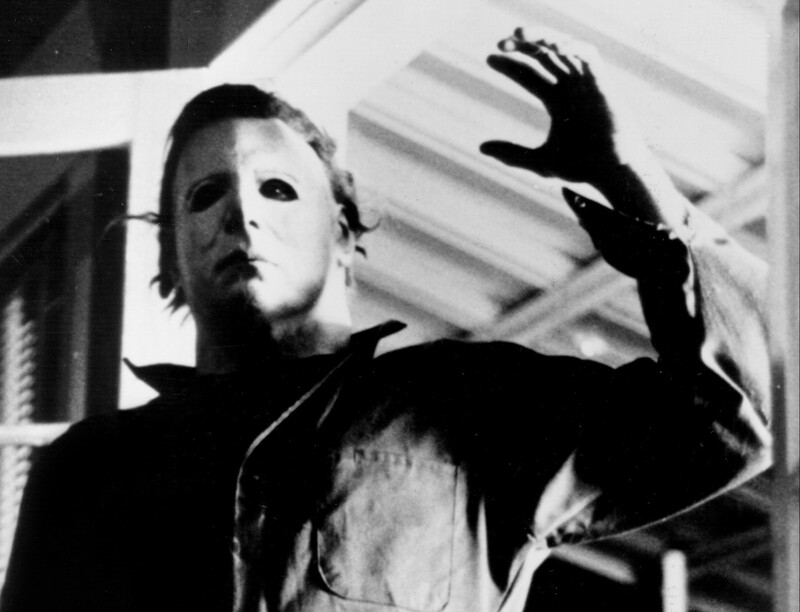 Fathom Events and SpectiCast screen John Carpenter’s original Halloween (1978) in select one-night-only engagements around the country. Participating Los Angeles theatres include the Burbank 16, the Regal LA Live, the Alhambra Renaissance 14, The Santa Anita, the Puente Hils 20, and the Covina 17. Find a complete list of theatres here. 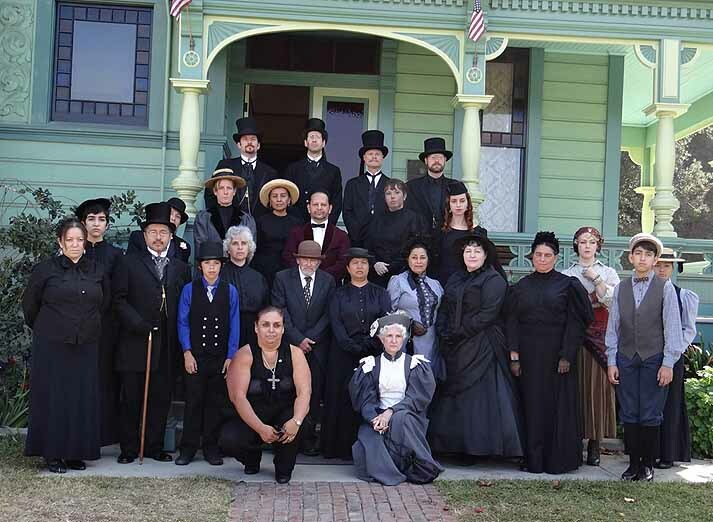 Heritage Square Museum presents its 12 annual Halloween & Mourning Tours. The two-day event, on the last Saturday and Sunday of October, offer visitors a chance to learn about Victorian era customs of death and dying, including memento mori, spirit photography, and spiritualism. 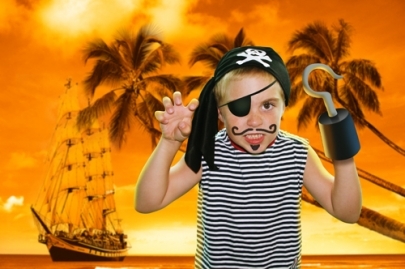 The program is more kid-friendly on Sunday,: children from 2 to 12 play period games, make 19th century harvest crafts, trick or treat and listen to scary Halloween tales. Tickets are $20 for Adults, $15 for Seniors of 65, $8 for Children 6 to 12 years. Admission is free for Children under 6 and Museum Members. The address is 3800 Homer Street, Los Angeles, 90031. Get more info here. The City of Burbank presents a Halloween Skatefest at Burbank Skate Park: 1625 North Valley Street in Burbank. Get more info here. Armed with a flashlight, you’ll visit ghost-plagued buildings and haunted spots on Hollywood’s famous strip while learning stories about the restless souls you might disturb. Learn about the celebrity ghost who plays a bugle in room 928 at a Hollywood Boulevard hotel, check out a movie-themed bookshop whose owner stuck his head in an oven and see if you feel the spirit of a man with a cape and top hat at the famously haunted Hollywood Wax Museum. You’ll visit the birthplace of the movie premier, learn where Clark Gable and Carole Lombard once stayed for $5 a night and find out where a blonde bombshell’s ghost gets wet. Along the way, you’ll discover legends surrounding a jumper from the Hollywood sign, why the pool at Hollywood High is a dangerous place and whose ghost likes to pace in front of the Chinese Theater. Scavenger Hunters will gather at Hawthorne and Highland in Hollywood. Get more info here. 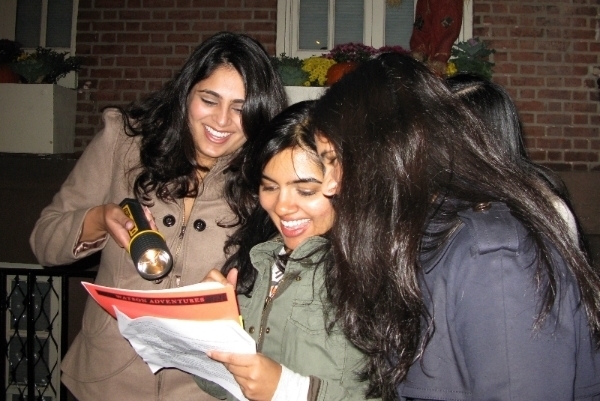 The Haunted Hollywood Scavenger Hunt also takes place on October 31. This subtle but spooky yard haunt offers three nights of atmosphere this Halloween. In operation since 1996, The Haunt with No Name Yet is effective and memorable but not too scary for trick-or-treaters (except perhaps the very youngest). There is an overall sinister feel, with low-key lighting, tombstones, and myriad hand-carved Jack O’Lanterns filling the wide yard of the corner home, creating a sense of entering an eerie otherworld. Hours are 6-10pm on October 29, 6-11pm on October 30, and dust-11pm on Halloween Night. The haunt is free. The address is 19351 Hatteras Street in Tarzana. Get details here. 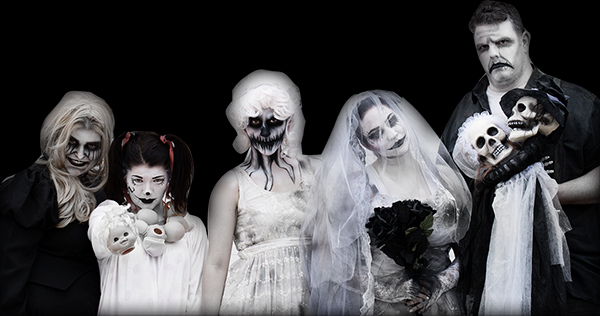 This new Halloween attraction promises a Delusion-like combination of haunted house and living theatre, with guests cast as members of a wedding party that took place at the historic Newland House and Barn in Huntington Beach. Proceeds will benefit the Rotary Club of Huntington Beach’s effort to install a universally accessible playground on the beach. ‘Haunting Hours’ tickets (13+ and adults only) are $25.00. 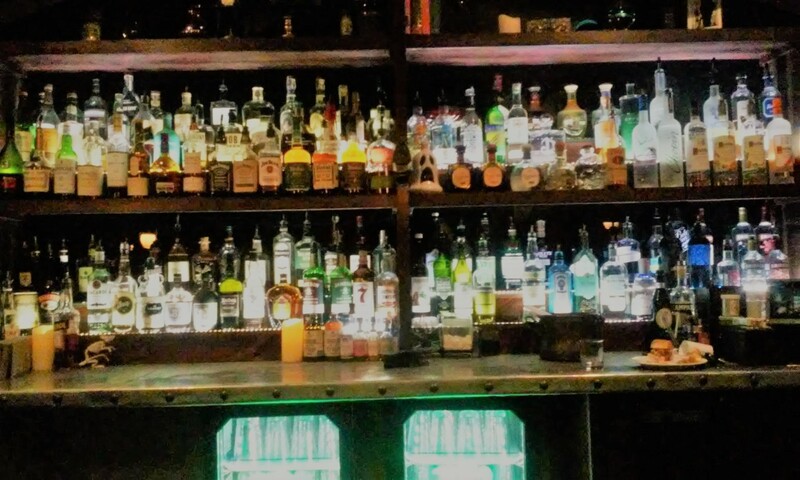 Family Friendly ‘Happy Hours’ tickets are $12.50 for adults and children. Both include entrance to the Carnival to enjoy the entertainment. All activities, food and beverages are an additional charge. The Huntington Haunt runs from October 28 through 31 at The Newland House Museum: 19820 Beach Boulevard in Huntington Beach. Get details here. The living dead invade Shoreline Village for their annual Long Beach Zombie Walk, which takes place on Saturday, October 24 at 7pm. The Zombie Walk is actually only one element of a three-day zombie fest, including live music, dancing, pumpkin carving, freak show wrestling, and costume contest. Hours are 5-10pm on Friday, October 23; 2-10pm on Saturday, October 24; and 2-9pm on Sunday, October25. Tickets are $13 for a one-day pass, $18 for a two-day pass, and $20 for a three-day pass. The Long Beach Zombie Walk is one of several events taking place at the Shoreline Village Halloween Haunt. The address is 401-435 Shoreline Village Drive in Long Beach. Get more info here. Street Food Cinema presents an outdoor screening of The Lost Boys (1987) with food vendors and live music. Doors open at 5:30pm; band plays at 6:30pm; film starts at 8pm. The screening takes place at Westchester Park: 7000 W. Manchester Avenue in Los Angeles. Get details here. Street Food Cinema presents an outdoor screening of A Nightmare on Elm Street (1984) with food vendors and live music by Haunted Summer. Doors open at 6pm; band plays at 6:30pm; film starts at 8pm. The screening takes place at Will Rogers State Historic Park: 1501 Will Rogers State Park Road in Pacific Palisades. Get more info here. Old Pasadena's annual Halloween celebration starts this weekend with pumpkin carving and decorating. Get busy with glue sticks and (washable) markers creating your own Great Pumpkin. 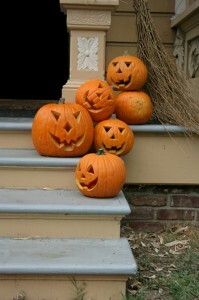 Pumpkins are provided on a first-come first-served basis; all creations go home with their creators. The event takes place at One Colorado, 41 Hugus Alley. Call (626) 564-1066, or get more information here. The annual pumpkin carving is one of several Halloween events in Old Pasadena. Also this weekend is a Growl-o-ween party for dogs (see above). Next weekend will feature Trick-or-Treating on Colorado Boulevard and a screening of Mad Monster Party on Halloween Night, followed by a Day of the Dead celebration on Sunday, November 1. Read about the events here. 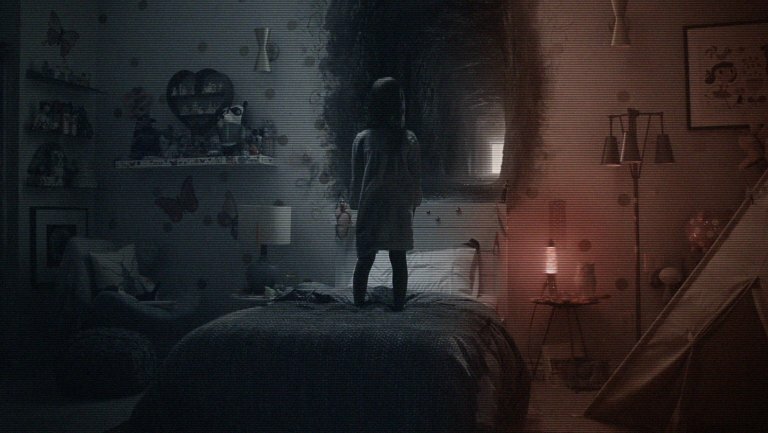 Paranormal Activity: The Ghost Dimension opens nationwide on Friday, October 23. The story follows a new family that moves into a house and discovers videotapes with footage of Katie and Kristi and a camera that reveals the titular activity. Produced by Jason Blum and Oren Peli. Directed by Gregory Plotkin from a screenplay by Jason Pagan & Andrew Deutschman and Adam Robitel & Gavin Heffernan, based on characters created by Oren Peli. Cast: Chris J. Murray, Brit Shaw, Ivy George, Dan Gill, Chloe Csengery, Jessica Tyler Brown. 95 mins. The address is 5181 Manor View Drive in Yorba Linda. Learn more here. 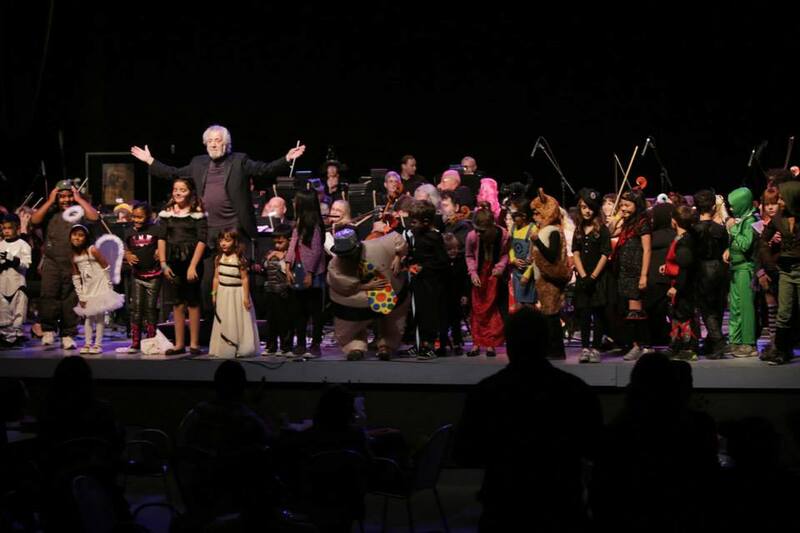 The performance takes place at The Warner Grand Theatre: 478 West 6th Street in San Pedro. Doors open at 2pm. Get details here. 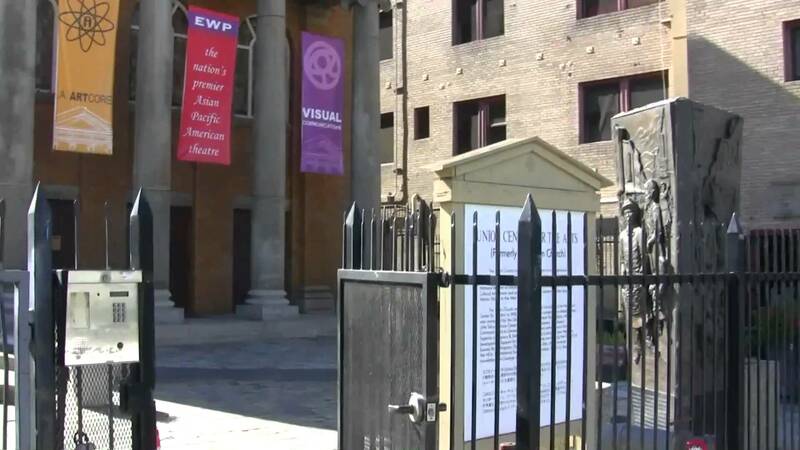 Here’s an interesting event: Sean Clark of Horror’s Hallowed Grounds will host a screening of John Carpenter’s Prince of Darkness – in the former church where it was filmed! The event will include a reception in the courtyard, a chance to tour the interior and exterior, prizes, and a Q&A with guests (to be announced). The show is expected to sell out. Proceeds will benefit the location, which is now the Union Center of the Arts. The event takes place at Union Center of the Arts: 120 Judge John Aiso Street in Los Angeles. The venue's website is here. Get more info about the event here. 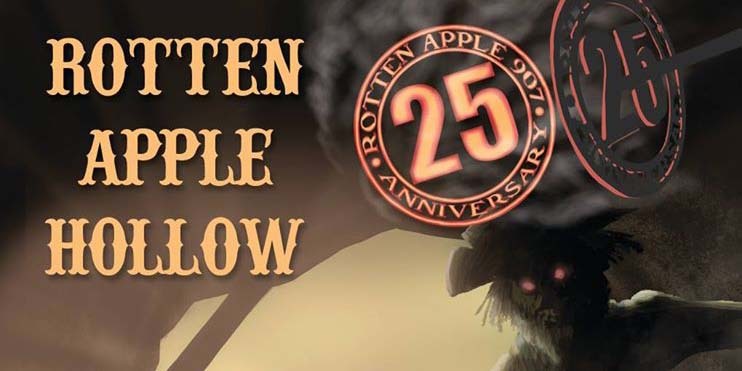 Celebrating its 25th anniversary, the Rotten Apple 907 home haunt presents its Halloween 2015 attraction, “Rotten Apple Hollow.” This is one of the best amateur Halloween events in Los Angeles – worth visiting year after year. Rotten Apple Hollow is open two days this weekend: October 24, 25. It returns on October 30 & 31. Hours are 7-10pm. The address is 907 California Street in Burbank. Get more info here. Scarium of the Pacific offers a chance to meet thousands of sea creatures and enjoy creepy, educational activities and special Halloween programs, including a children’s costume contest, a creepy coloring contest, magic shows, spooky storytelling, etc. Scarium of the Pacific activities are included with the price of general admission to the aquarium: $28.95 for adults; $14.95; $25.95 for seniors. Aquarium members get in free; their guests receive a 20% discount. The event takes place at the Aquarium of the Pacific on Saturday and Sunday, October 24 & 25 during regular hours. The address is at 100 Aquarium Way in Long Beach. Get details here. The Alex Theatre and Famous Monsters of Filmland present a Halloween horror screening of Son of Frankenstein (1939), the black-and-white classic starring Boris Karloff, Basil Rathbone, Bela Lugosi, and Lionel Atwil. Sara Karloff (daughter of Boris) and Bela Lugosi Jr (son of Bela) will be present to discuss the careers of their parents. Tickets are $16 for adults, $12 for students, seniors, children, and groups of 15 or more. The Alex Theatre is located at 216 North Brand Boulevard in Glendale. Get more info here. 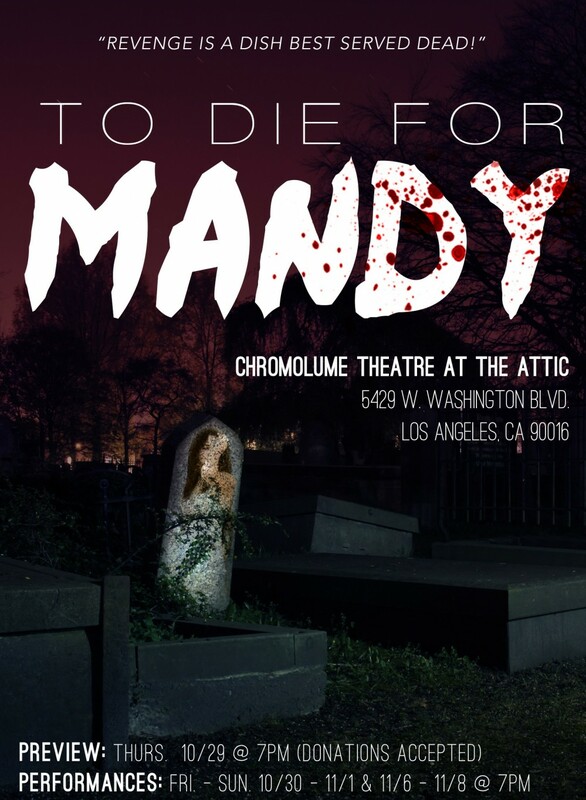 After a free preview on Thursday, October 29, To Die for Mandy runs two weekends: Friday, Saturday, and Sunday on October 30-November 1 and November 6-8. All performances begin at 7pm. The Chromolume Theatre is located at 5429 W. Washington Boulevard in Los Angeles. The theatre's website is here.